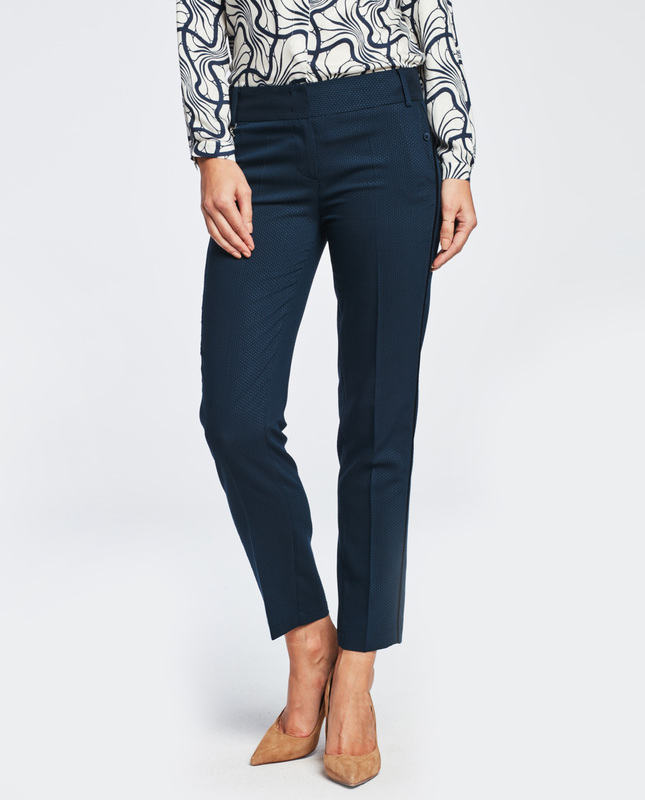 Elegant jacquard trousers in a dark blue colour. Slightly high-waisted and tapered legs. 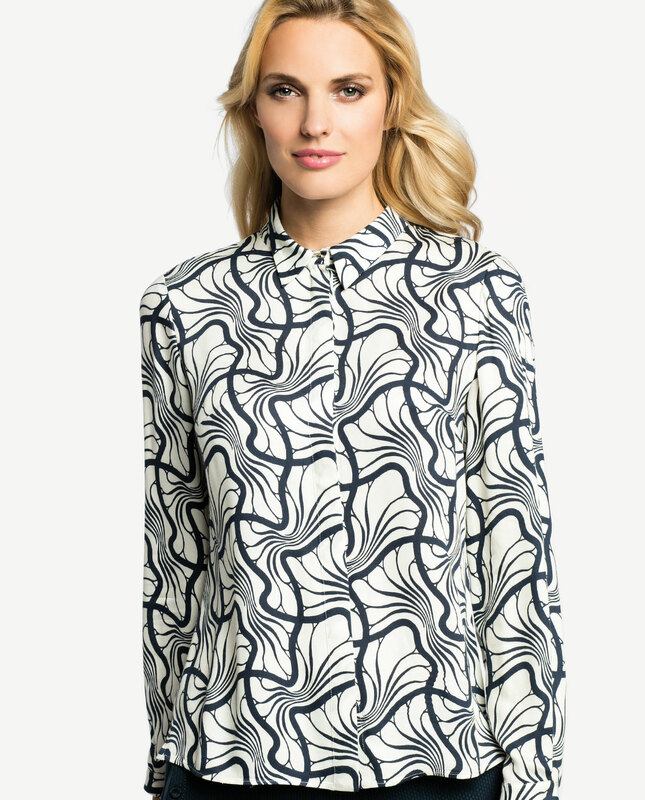 Made from soft, distinctively textured fabric. Side panels will additionally elongate your legs and make them look slimmer. Two sliding pockets at the front are decorated with a subtle button and top-stitched. Mock pockets at the back. Fastened with a concealed zip, a set of hooks and loops and a button. The trousers are perfect pick for casual events as well as evenings-out. Together with a fitted jacket and a smart shirt, the trousers will create an ideal business outfit. Opt for high heels and subtle tops when compiling an evening look.